Brothers, out in the country, with no one else around for miles, become best friends out of necessity. I think there is nothing more fun as a mother, than seeing my boys play together. They fight too. It’s a constant roller-coaster of highs and lows with them. 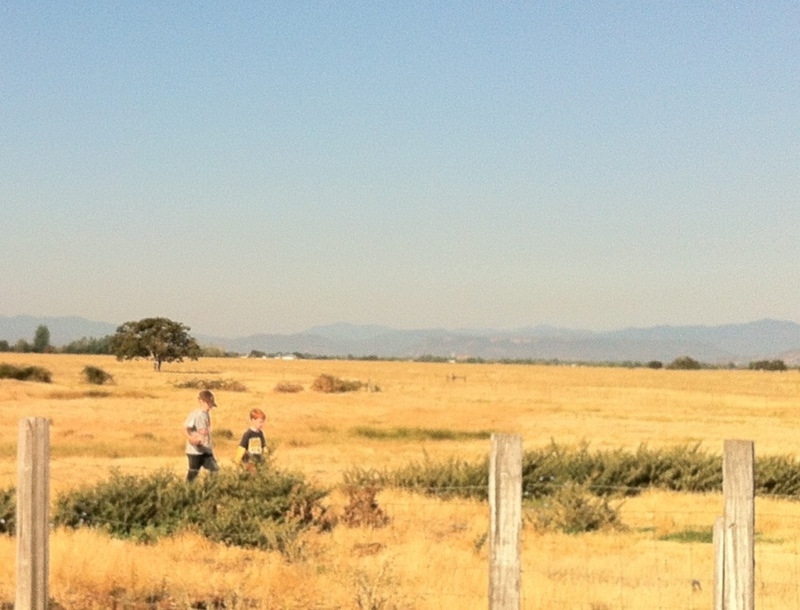 The boys out picking blackberries to put in their Pancakes a couple weeks ago. They either ride their bikes all up and down the quarter-mile driveway, through the back field, over jumps out by the garden, or over jumps near the chicken yard, sending chickens scurrying in all directions. 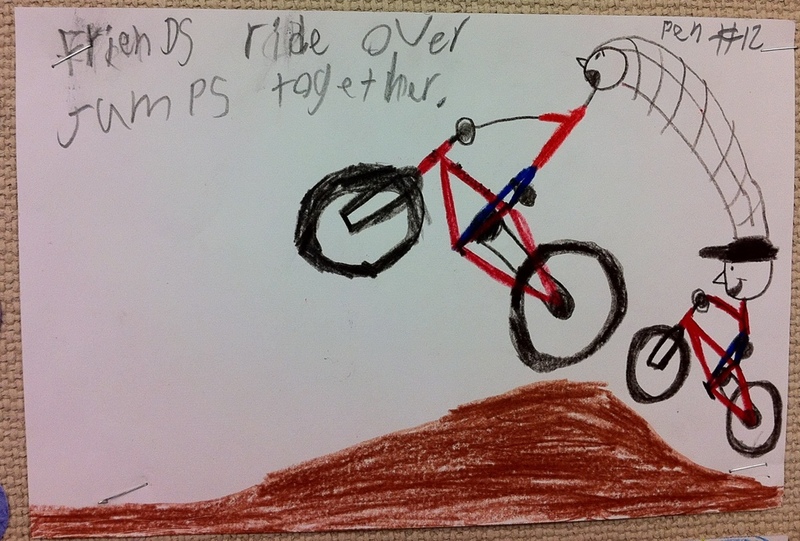 This is a drawing Ben did in his classroom on a theme of Friendship. It is so totally him in the lead, with his smiling little brother, Bean, following! They build things, or make up games because we don’t have video games. They know about video games. But they understand that video games are for kids who can’t run around crazy in the great outdoors. Not everyone has a big back yard. They see video games as a substitute for real play. They will literally play with sticks. It’s not that they don’t have toys, they just have enormous imaginations to boot. 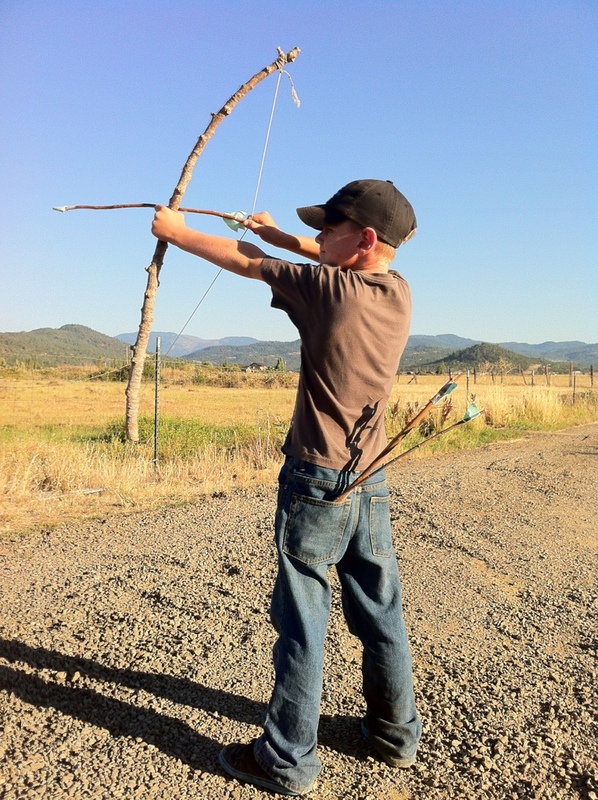 The Bow & Arrow Ben made from sticks he found around the property. Thanks for visiting. I hope your son grows up being able to Truly Play! We just keep remembering that it would be us purchasing the video system and games before they ever got addicted to them. No thanks!